Vocab Videos provides students with a fun way to learn SAT and high school vocabulary, and educators with an effective and easy-to-implement vocabulary teaching system. The online platform is the perfect addition to your vocabulary curriculum! Vocab Videos can easily be incorporated into the classroom as a relevant add-on to your English classes and as a means of bringing test preparation to your students. 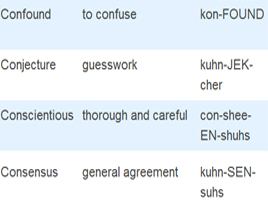 Our unique educator features provide you with tools to monitor your class's progress right from your personal Vocab Videos educator account, and to view just how much your students' vocabulary is improving as a result of our system. 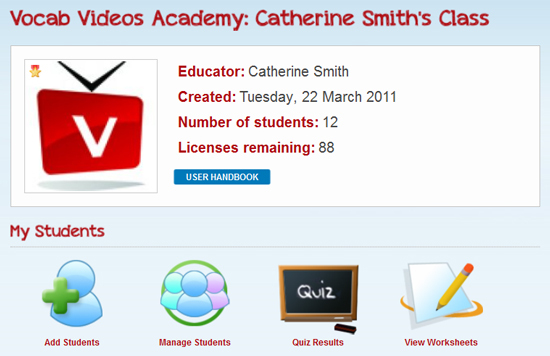 Now, students and teachers can even upload their own vocab videos and photos! You can also link to videos and photos from around the web. Find the perfect YouTube video to illustrate the meaning of a vocabulary word? Link to it on your account! Teachers can share the videos and photos uploaded to their account with students registered in their class. Smartphones now make it easy for students to instantly snap a photo or record a video. Organize a fun class project and get students more involved in the learning process by having them create their own vocab video and photo projects. 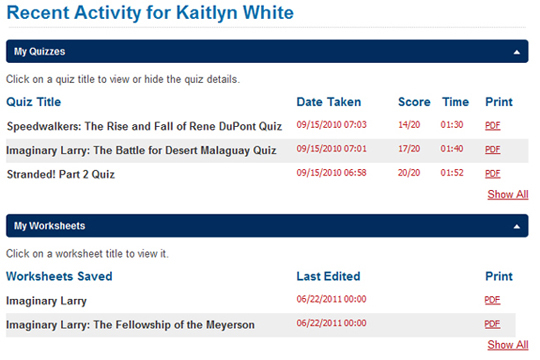 Our new uploading functionality opens up a whole new realm of engaging vocabulary assignments! Upload photos and videos to share with your students - NEW FEATURE! View your students' shared photos and videos- NEW FEATURE! 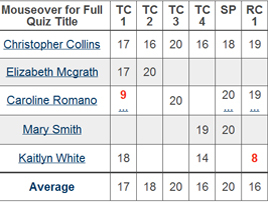 View your all students' quiz results to see how your class is performing as a whole; failing quiz scores will be highlighted in red. 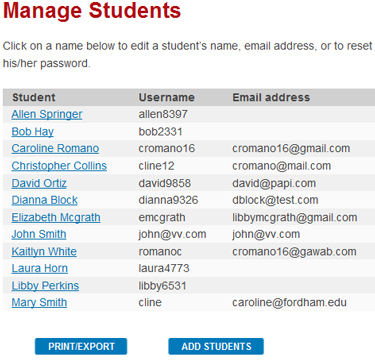 Add students to your class easily by entering names and email addresses. 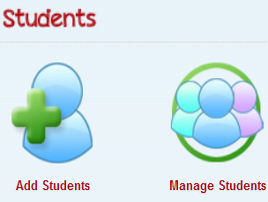 Then manage your student accounts and reset their passwords as needed.